Aerosoft released on November 8th a new AIRAC Cycle 1812 for their NavDataPro. For operationally significant changes in information, the cycle known as the AIRAC (Aeronautical Information Regulation And Control) cycle is used: revisions are produced every 56 days (double AIRAC cycle) or every 28 days (single AIRAC cycle). NavDataPro users are now able to download and install the datasets for X-Plane. NavDataPro is our new update service for navigational data used by various simulators. With this service flight sim pilots will always get up-to-date navdata for flight planning and in flight use. 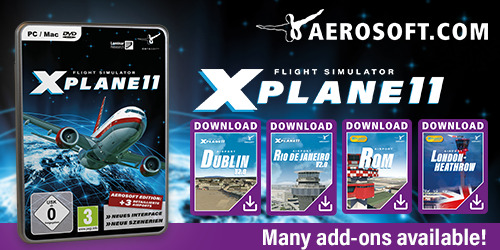 More information can be found at the dedicated Aerosoft web page.